Note: This is an updated article from 2012. I’m not sure what else need be said about the significance of what happened on this day in 1969 other than it was a shining moment in human history, and will be — should be — remembered forever as an example of what people can achieve when challenged, driven, and inspired. 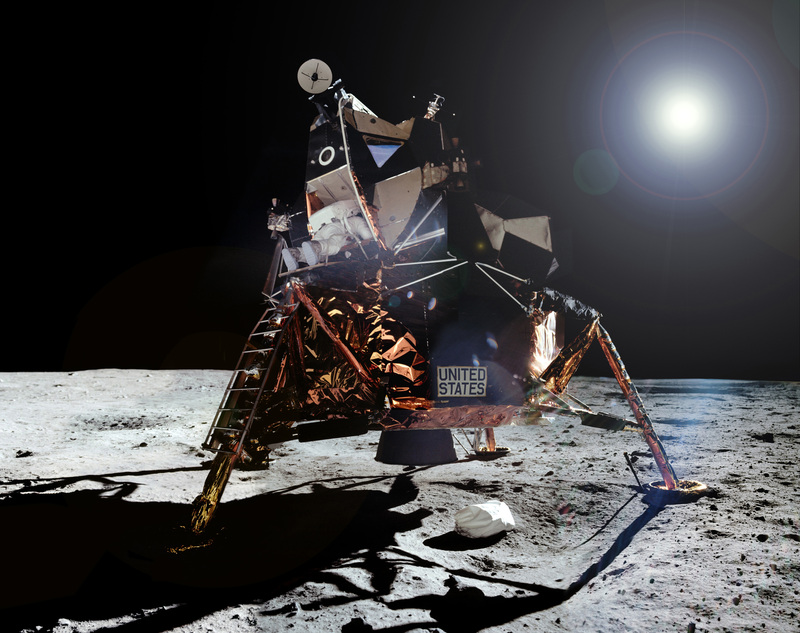 More “giant leaps” have been made since then, and undoubtedly more will be made in the future but this was the first and, in my opinion, to this date still very much the biggest. After Neil Armstrong stepped onto the Moon on the evening of July 20, 1969, LM pilot Edwin “Buzz” Aldrin followed. Below is a video of Buzz coming down the ladder—with a little direction from Neil. After he’s safely on the lunar surface Buzz famously comments on the “magnificent desolation” of the Moon. For a brief few years humans visited the Moon, exploring its surface and bringing back samples to Earth. No one has stepped foot on the Moon since December of 1972. This may change soon, in the next decade even, if some adventurous entrepreneurs can make it happen or other countries decide to try their hand at lunar exploration. But until that happens, these glimpses at our spacefaring past remain as precious reminders of what we once achieved. Next Post Have No Fear, Phobos is Here! Lunar landing. Greatest achievement in all the history of the world. All? All. It’s a moment in history that still leaves so many of us speechless. Thanks to all of those who worked to make the moon landing possible. It’s events like this that bring so many together, even when looking back. Thanks for sharing!